Conductive Education believes in the importance of independence as it helps the child, and those who are related, improve quality of life. It helps to gain the ability to solve the problems of daily living such as dressing, eating, practicing personal hygiene and other activities that are part of everyday life. Ultimately Conductive Education contributes to the complex development of the personality. Peer-directed learning and motivation are one of the most essential elements in Conductive Education. Individuals work as a part of a small group of children with similar conditions. This setting offers a unique way to help children to face challenges, share solutions and reward efforts to learn new skills within the dynamics of the group. The social context works as a powerful incentive while allowing for individualization and adjustment to personal needs. Safety first! Keeping this golden rule always in mind while our rooms are designed to challenge children to function as independently as possible. 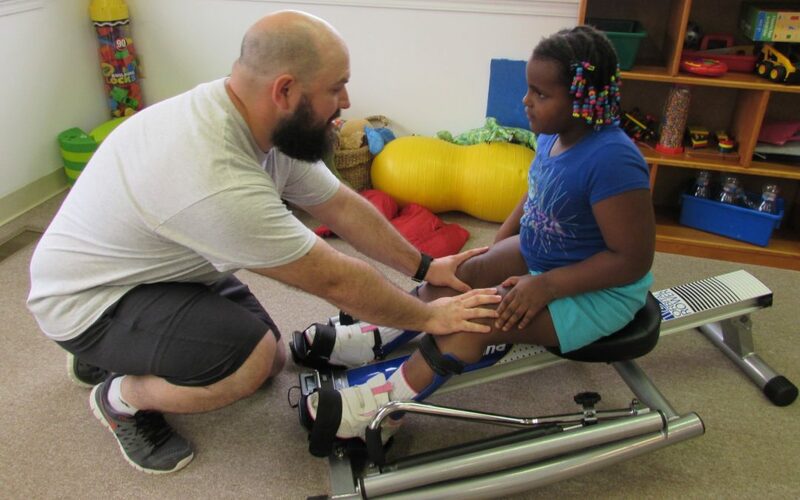 Equipment is unique to Conductive Education and includes slatted tables called plinth, ladder chairs and feet and back supporting boxes that promote body alignment and support the tasks designed to facilitate learning. Conductive Education believes in easy to use and apply support and equipment facilitation what is easily adaptable to everyday life at home. Specially trained teachers licensed after approximately five years of college-level training. The conductor-teacher training program is available in the Aquinas College in the United States. The primary education center is the International Peto Institute in Budapest, Hungary, where Dr. Andras Peto founded the program. There are also accredited programs available in UK, and Israel. Conductor-teachers graduate with a BA/master degree in “conductive-education “and regular education teaching. The conductors are responsible for facilitating education, utilizing concepts of goal-directed activities, verbal regulation, and group dynamics. The conductor does not solve the student’s motor problem but encourages active problem solving for movement. Many of the activities are done with the use of simple folk songs that relate to the activity. By pairing rhythm with movement, movements become more fluid and the lyrics provide verbal cues to the child. Using a carefully planned, age-appropriate curriculum, the conductor teacher fosters confidence and motivation in the children, while also teaching them to function more independently at home, school, and work. Conductive Education helps the students build their cognitive skills and helps them to use alternative strategies to accomplish common motor tasks such as sitting, standing, walking, dressing or eating. The family is an essential element of the conductive education team. Family members are included in goal setting and also taught strategies to use at home to reinforce conductive education skills in all aspects of the child’s daily life. Conductive Education recognizes the fact that the damaged brain requires a commitment of significant time in order to form new pathways. 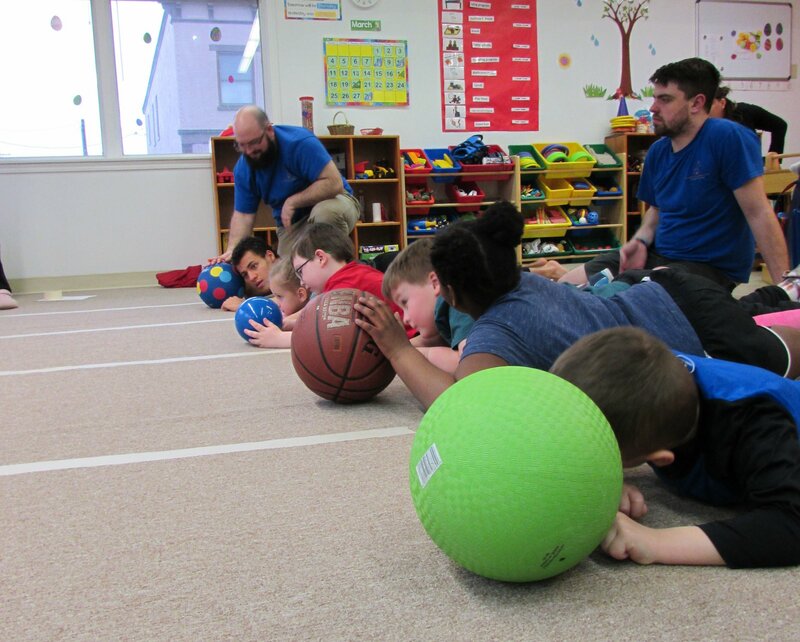 Movement, speech and cognitive abilities are developed in tandem with functional movement. This is founded on the theory that the child with motor disability develops and learns in the same way as healthy children do. However, what the healthy child learns through assimilation, the child with cerebral palsy must be taught overtly as a skill. Right now there are about 35 Conductive Education centers in the USA. The Association for Conductive Education in North America (ACENA) is the representative of the programs and professionals providing conductive education services within the North American continent. ACENA acknowledges and promotes the practice of conductive education. The Conductive Learning Center of Greater Cincinnati is one of the six programs that have Center membership status with ACENA, which means our program measures up to one of the highest criteria worldwide. 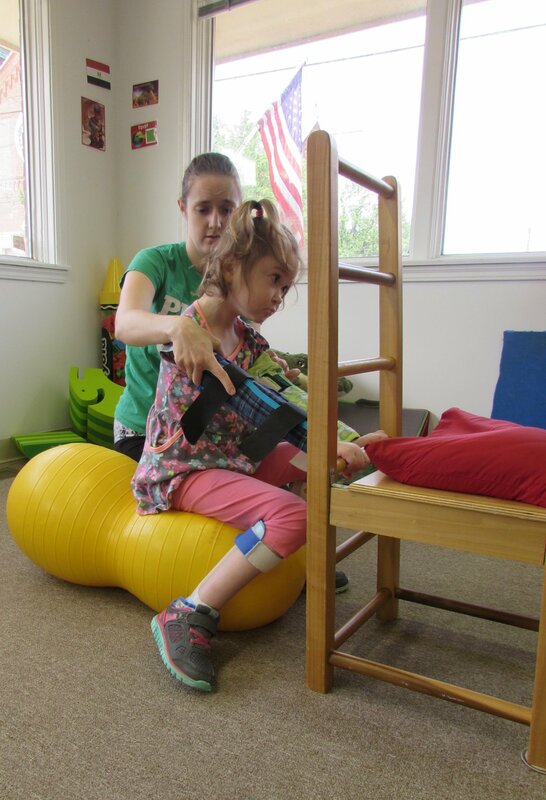 The Conductive Learning Center of Greater Cincinnati serves children from children and adults with neuromotor disorders related to complications of prematurity, Cerebral Palsy, Spina Bifida, Multiple Sclerosis, Parkinson’s, Stroke-related disabilities or acquired brain injury. Using a holistic and intensive approach that combines medical knowledge with educational methods, Children can gain control over his or her body – and accomplish tasks you may never think possible. With increased mobility, strength, problem-solving skills, confidence, and self-esteem, not only will the child’s quality of life be improved, but so will the whole families. We believe in early intervention, therefore we offer individual programs for babies and Parent and Child Classes for children 12 Month to 3 years of age. During these classes, we focus on teaching parents with a hands-on approach and give practical advice for them. Making it possible to reach out for other parents, discuss question and concerns seems to be also very helpful especially for those who just learned about their child’s special needs. 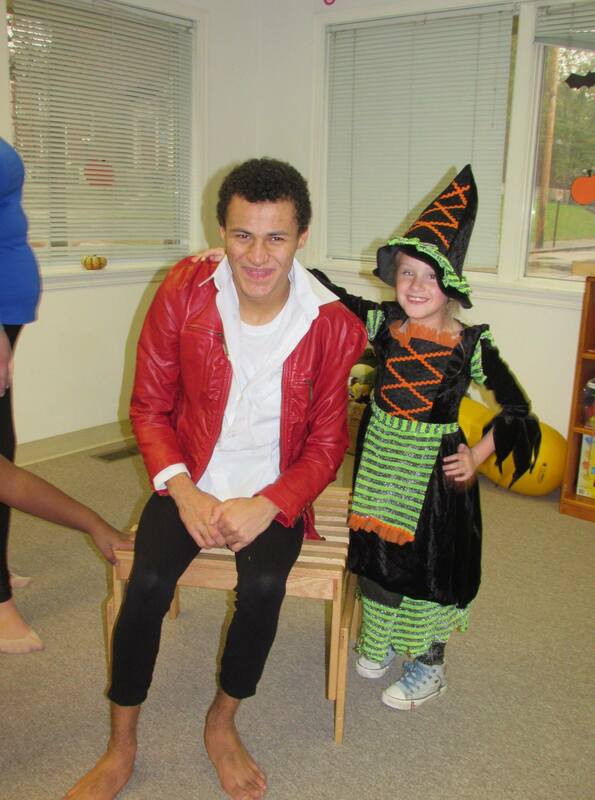 Our year-round program for preschool and kindergarten age children is available full or part-time. We offer five days a week of 5 ½ hours of intensive Conductive Education. The curriculum and the conductive program are carefully designed by our conductor-team to help the children achieve their highest potential in social, cognitive, motor developmental and communication areas. We offer session based programs for continuous 4-5 weeks, 5 days a week. Candidates for Conductive Education should be able to show basic cognitive skills and should show signs of understanding and following verbal communication and simple instructions. Unique Treatment for Neurological Diseases Helps Children and Adults Live Better, More Independent Lives How is Conductive Education Different? What You Need to Know About Conductive Education – New Book Available What is Conductive Education? Conductive Education FAQs Shop and Support the Conductive Learning Center!